Why Is There a Need for Positive School Discipline? Beginning with a federal mandate in the early 1990s, schools across the country adopted “zero tolerance” policies to improve school safety. These policies were originally designed to protect students and staff from the most dangerous student misbehavior, such as bringing a gun to school. Over the past few decades, however, schools have increasingly applied zero tolerance policies to a host of conduct problems—including vandalism, bullying, and dress code violations—leading to dramatic increases in student suspensions. In many schools, harsh discipline policies are applied more often to students of color and to students with disabilities. Research shows that a zero tolerance approach to school discipline does not promote school safety. In fact, punitive approaches that exclude children and youth from schools can actually increase behavior problems, the risk of substance use and violence, and the likelihood of academic failure. The result is that struggling students are being pushed out of school, leading many on a path to the juvenile or criminal justice systems. A Positive School Discipline approach, however, creates a supportive learning environment where all students can thrive. Reserving suspension and expulsion as measures of last resort and employing alternative programs and practices that support student needs and hold students accountable, yet keep them engaged in the classroom, leads to higher achievement and improved graduation rates. 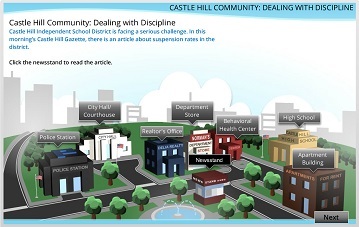 Find out more about the benefits of Positive School Discipline.